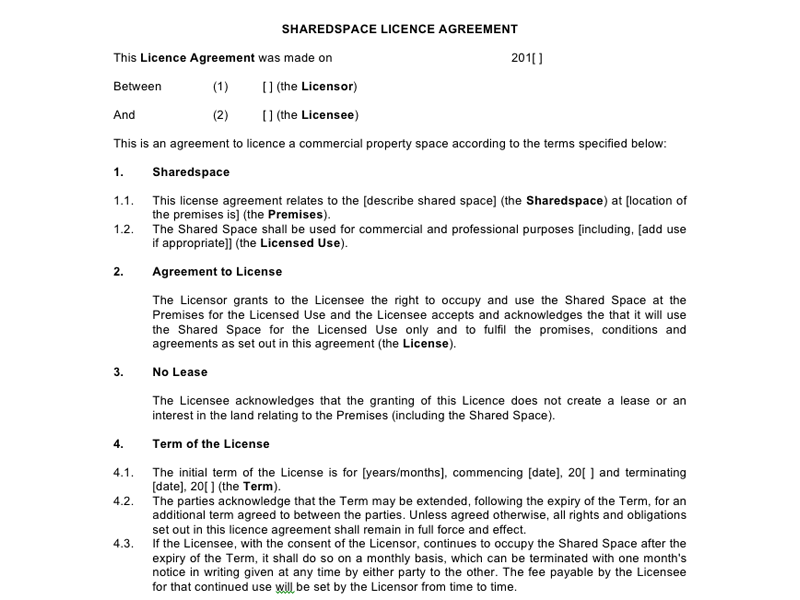 Sharedspace.co.nz now offers Shared Office Agreements - A simple legal template agreement designed for businesses who want to share their workspace. Sharedspace.co.nz wants to make the process of sharing commercial spaces as easy as possible, which is why we have put together this agreement template. See our "How-To-Guide" for more information.